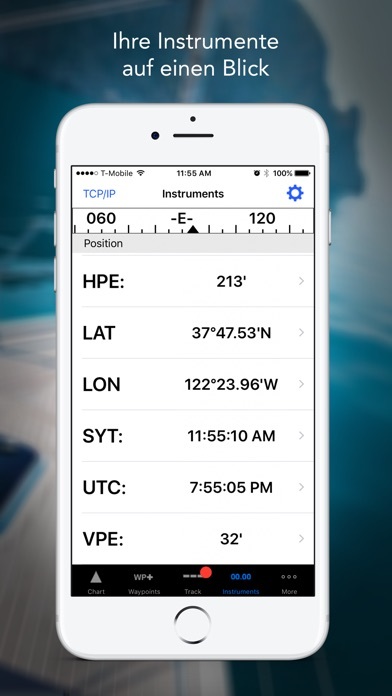 How does iNavX take handheld marine navigation to the next level? 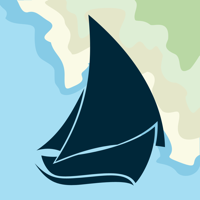 • Sailors - Plan sailing routes with waypoint and route management. 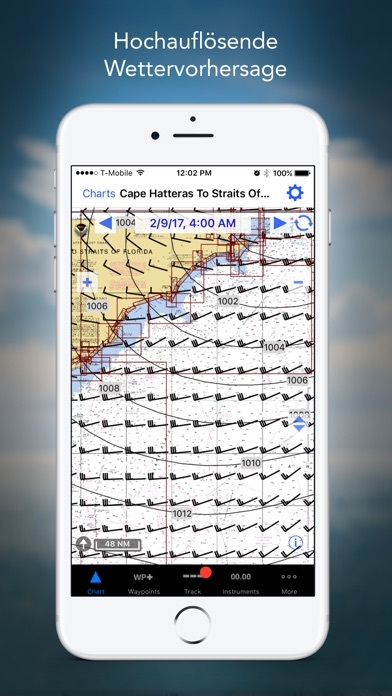 Get proactive sail management with GRIB weather forecasts and then keep watch with AIS overlays and integration with your onboard systems. Plus, you can remember your great sailing locations by geotagging photos. 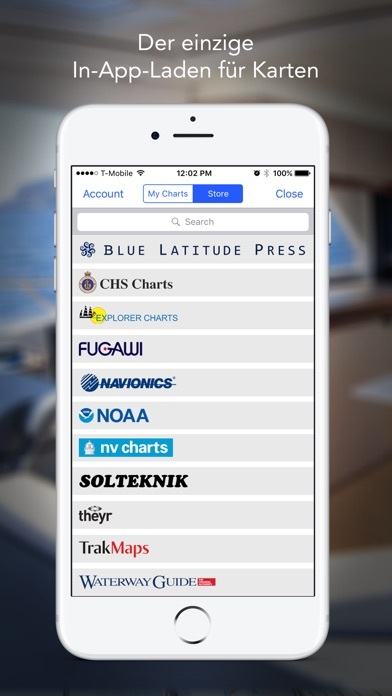 • Boaters - Stay up to date on boating conditions with forecasts that include currents, winds, and swells. 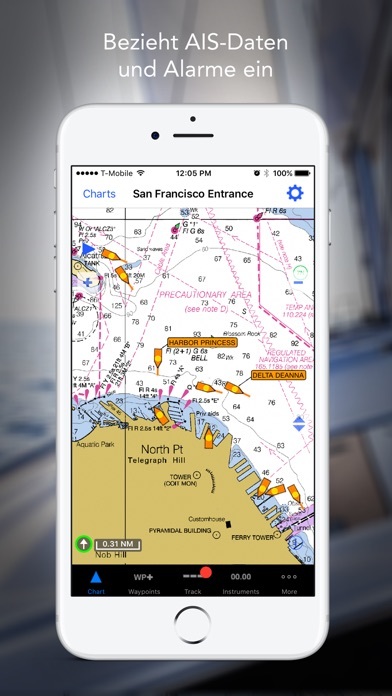 Manage your boating equipment with nautical instrument integration and then save great boating routes to share with the track log. • Anglers - Discover new fishing spots by scouting out holes and inlets. Locate the best fishing conditions by identifying cold fronts and save your best fishing spots with unlimited markers. 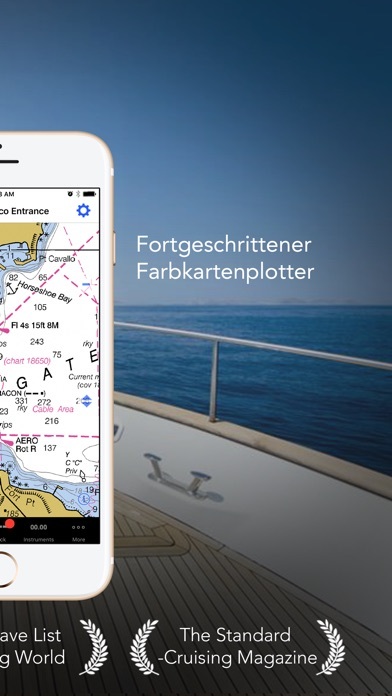 • Connect nautical instruments: Depth, Speed, Wind, Engine, Batteries, etc.